Grab a cocktail, enjoy delicious hors d'oeuvres provided by 156East, and get ready to laugh with Guys in Ties Improv Comedy at PPCT's first annual fundraising gala event: A Dapper Evening. 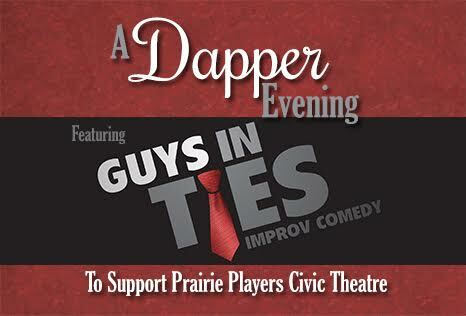 Don your dapper attire, grab a friend, and show your support for community theatre in Galesburg! Doors open at 6:30 pm. Sponsored by 156East and Office Specialists. Tables must be purchased in person at our box office, located at 160 S. Seminary Street, or by calling (309) 348-7728.